Consider the cover album — you know, when musical artists record albums not of originals, but of previously recorded music associated with other artists. This category, of course, includes the vast majority of classical albums, few of which have enough new to say about the music they contain to justify their existence, but that’s the subject for another post. No, I’m talking today of the anthologies, homages, reinterpretations and other cover concepts emanating periodically from pop, rock and myriad sub, sub-sub and sub-sub-sub genres. Here’s one music critic’s 2012 list of “10 of the Best Covers Albums in Music History,” to which I would add such personal favorites as “Louis Armstrong Plays W.C. Handy” (gotta get some Pops on the list) and Paul Anka’s “Rock Swings.” What’s that — you’ve never heard Anka’s finger-popping cover of Nirvana’s “Smells Like Teen Spirit?” Man, you haven’t lived! Meanwhile, a pair of new cover albums have hogged my CD player this week, though only one of them provides much pleasure. Goodness, what misery we critics and bloggers go through to keep you informed! Between them, however, one can learn something about what makes one cover album or any artistic reinterpretation worthwhile, and another a waste of time. First, the bad news. 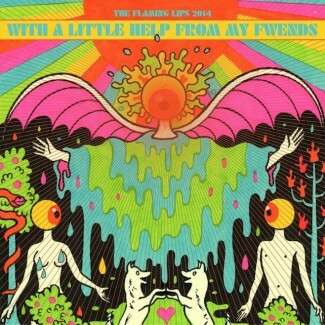 On their new album “With a Little Help from My Fwends” (sic), veteran Oklahoma City psychedelic rockers The Flaming Lips, joined by a motley cast of guest artists (including J. Mascis and Miley Cyrus! ), re-create, song for song, The Beatles’ “Sgt. Pepper’s Lonely Hearts Club Band” — an album that, if you’ll pardon a little baby-boom navel-gazing, changed my life after I, in 1967, at age 11, picked it out of the record bin at a Woolworth’s. Is nothing sacred? No reason it has to be, at least in this case. I mean, if theater director Peter Sellars can devise a new staging for J.S. Bach’s “St. Matthew Passion,” arguably the greatest musical work ever composed, then “Sgt. Pepper” should be able to survive whatever is thrown at it. What’s so good about it? Well, there’s the inspired, sensitive programming: Twelve pop songs by twelve songwriters as diverse as Sharon van Etten, Buddy Holly, Nick Drake, Lisa Germano, Beck and John Lennon. 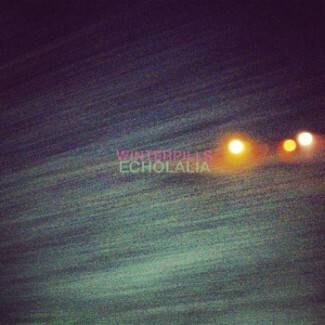 Having admired the inspiration and craft of the Winterpills’ original songs on their last few albums, I can hear what drew Winterpills’ core duo, Philip Price and Flora Reed (who mostly go it alone this time) to the melodically rich, achingly expressive tunes presented here. I’ll admit that a few of the dozen were happy discoveries that have since become fast friends. Then there’s the sensitive treatment of the songs, which, by enhancing rather than distorting their essential qualities, Winterpills both make their own and offer as tributes to the originals. Among the many felicities, let me mention the ethereal, elegiac take on Buddy Holly’s “Learning the Game,” the overdubbed cellos (an effect I’m a sucker for) and gentle electronics that add depth to the Go-Betweens’ “Bye Bye Price,” the sweet vocal harmonies, the immaculate, imaginatively layered production, and the overall quality of unity-within-diversity that marks the best of such projects. I could go on, but it’s better to break off here and give you time to listen. I’ve put the Spotify version here for a preview, but if you like what you hear, please visit your local CD outlet. The musicians would appreciate it, and you’ll get much better sound.